1.1. “You” means everyone who purchases a ticket and everyone who visits a cinema operated by Ilkley Cinema Ltd, whether or not they have purchased a ticket. 1.2. 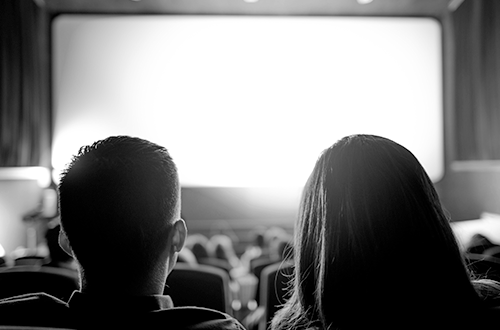 “Us” or “We” means Ilkley Cinema Ltd generally and each of the cinemas it operates and shall include any company in which Ilkley Cinema Ltd has an ownership interest. 3.2. Children under age 10 must be accompanied by a parent or guardian for all films starting at or after 7pm. 3.4. Child tickets are valid for children between the ages 2 and 12 inclusive. 4.1. Baby&Me is a regular screening at our cinema which is exclusively for parents or carers with children under 12 months age. For babies up to 12 months old* – babies are free of charge. Where the certificate is U, PG or 12A, older children may also attend although a baby (0-12 months) is still required. 4.1.1. Adults without a baby will not be allowed to purchase a ticket to a ‘Baby&Me’ screening. 4.2. Kids’ Club is a regular screening at the cinema on a Saturday morning for children of all ages. All adults must be accompanied by a child when attending a kids club performance. For the avoidance of doubt "Adult" includes those purchasing an Adult, Senior or Student ticket. 4.2.1. 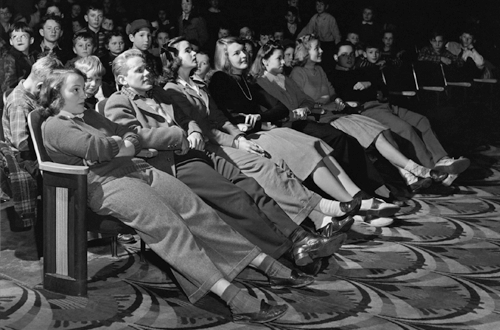 All accompanying parents must remain in the cinema for the duration of Kids' Club and are solely responsible for their children at all times. It is the law that no child under 8 may be left alone in a cinema. 4.2.2. All adults will be charged at the standard ‘Kids’ Club’ rate. 4.2.3. A maximum of 3 children per adult can attend the show. 4.2.4. No adult unaccompanied by a child will be admitted. 5.1.1 When ordering hot food with us, it must be noted that all orders must placed at least 5 minutes before the advertised start time, as shown on your ticket. Food orders cannot be taken after this point. 5.4. You must not smoke inside any of our premises. This includes the use of electronic cigarettes. 6.4. Our published schedule may be subject to change at the discrection of the cinema. 6.5. We endeavour to show films in accordance with the programme that we advertise. However, there may be circumstances in which we are unable to comply with the advertised programme and in such cases our liability to you is limited to a full refund of the tickets purchased and the Card Booking Fee charged. We are unable to take responsibility for programme information advertised by third parties. 6.6. You must adhere with any health and safety procedures or instructions that are in place and notified to you by our staff or by notices. 6.6.1. We operate a no refund policy. In circumstances where there has been a fault on Ilkley Cinema’s part that affects customer’s booking a refund or complimentary ticket may be applicable. When a refund is awarded, tickets can only be refunded by us up to 90 minutes before a performance starts so that the ticket can be resold. Refunds will only be given on production of an untorn ticket or if a pre-booked ticket has not been collected. The Card Booking Fee will only be refunded by Ilkley Cinema Ltd where it is determined that an error has been made in your ticket booking or card processing that is the fault of Ilkley Cinema Ltd. A refund of the Card Booking Fee will not be made in any other circumstances. 6.6.2 The exception to 6.6.1 above is that tickets for premium priced events can only be refunded up until 24 hours before the day of the performance. Thereafter, tickets will only be refunded at the supervisors' discretion. 8.4. The Website may contain links to other websites which are not controlled by us. The fact that we may provide a link to any such website does not mean that we endorse that website. Such links are only provided for your convenience and you access them at your own risk. 9.2. A confirmation booking reference will be displayed on your screen and emailed to you. 9.3. A Booking Fee will be charged per ticket and will be payable separately by you to Ilkley Cinema Ltd. A Booking Fee is required to cover online and website costs. By confirming your booking you are agreeing to pay this Booking Fee to Ilkley Cinema Ltd in addition to the price you pay to us for your cinema ticket. 9.4. The email confirmation of your booking will set out the details of the cinema tickets purchased and the total amounts paid for your tickets and Booking Fee. Once this confirmation has been sent, the ticket price may be refunded but only in accordance with Clause 6. Once a booking is confirmed the Booking Fee is non-refundable. 9.5. In the case of tickets being offered for sale at the wrong price on-line (i.e. at a higher or lower price than is applicable at the box office) we reserve the right to insist that the tickets are refunded and the correct prices charged. In these circumstances, the Booking Fee will only be levied once by Ilkley Cinema Ltd.
9.6. If you have opted not to receive an email ticket, you can collect your tickets from any point of sale in the cinema any time from when the booking is made until the start of the performance. You will need to bring either the card you paid with or a note of the booking reference to collect your tickets. 9.8. Bookings made on the Website are encrypted for security. However, you acknowledge that the Internet is not entirely secure and whilst we and Ilkley Cinema Ltd will take reasonable steps to safeguard the security of any card information you impart, we shall not be liable for any damage you may suffer as a result of the loss of confidentiality of any such information. 9.10.Loyalty Scheme Participants must enter their details at the time of purchasing to claim any discount. It is not possible to amend the booking once it has been completed. 9.11.Transactions will appear on your card/bank statement as a payment to Ilkley Cinema Ltd.
10.1. Should you wish to contact us, please write to Ilkley Cinema, 46A Leeds Road, Ilkley, West Yorkshire, LS29 8DP. 12.1 Gift Vouchers can be purchased in the cinema itself or online. All gift vouchers will have a code on them in the style of: V-123-ABC-XYZ. 12.2 Online gift vouchers will be sent in the form of an e-voucher to the email address that you provide at the time of booking. Online gift vouchers will not be posted out to you. 12.2.1 All gift vouchers that you put into your basket at once will be counted as one transaction and therefore will all be sent in one email to the email address that you have provided. If you would like to receive separate emails ie. you are sending them as separate gifts to different people, we recommend that you do each purchase individually online, or pop in to the cinema itself. 12.2.2 To redeem a gift voucher with the code in the style of: V-123-ABC-XYZ, you can do this online, at the cinema itself or over the phone. Please note that the full amount of the gift voucher will have to be redeemed whilst making this purchase. 12.3 All gift vouchers are valid for one year from the date of purchase. Any gift vouchers that have exceeded their expiry date will not be accepted as payment. 12.4 Old gift vouchers -- a blue Ilkley Cinema giftcard with a coloured sticker and a handwritten expiry date on the back -- are still being accepted, but only up until the point of the expiry which is stated on the reverse of your giftcard. 12.4.1 To make a booking with an old gift voucher, please give us a call on 01943 660007, and we will hold the seats for you and you can bring the vouchers along with you on the day and pay for your seats then. 12.5 All gift vouchers should be treated as cash. Ilkley Cinema accepts no liability for lost or stolen gift vouchers and they cannot be replaced. 13. 1 We can either swap these tickets for another showing or we can give you a refund for the extra seats provided this is done within 24 hours before any performance so that we can re-sell the seats. Swapping bookings can be done with us over the phone on 01943 660007 or at the box office but unfortunately refunds are only available in person by the method or payment and card originally used. 14.1.1 Two free cinema tickets. These can only be used against any film ticket, but cannot be used to redeem ticket for live/arts events. These must be used within the 12 months of your loyalty membership, and cannot be carried over if you choose to renew your membership or honoured if they are not claimed within the 12 month period. 14.1.2 A voucher for two free drinks. This includes a glass of prosecco, house wine, house beer or any non-alcoholic alternative. Please ask staff for further details. This voucher must be claimed within the 12 month period of your loyalty membership, and cannot be used after the expiry date of your loyalty membership. 14.1.3 Discounted ticket prices. This means that for any ticket that you purchase, excluding the two free tickets, will come at a discounted rate. You will save £1 on every ticket that you purchase and this includes all films and all live/arts events. This discount can also be used for all tickets that you purchase in your party, not just your own. 14.1.4 10% discount on all food and drink at the cinema. 14.1.5 Exclusive updates on any news, special offers and weekly updates of our latest releases as they go on sale. 14.3 Loyalty Membership tickets can be purchased on our website, over the phone or at the cinema itself. If booking online, you will need to create a password in order to access your loyalty account. 15.1 At Ilkley Cinema, we do not facilitate or host private parties of any kind. This includes childrens parties or private hire of the cinema. 15.2 Large bookings are welcome if you would like to bring multiple people to watch a film. We recommend that if you are bringing a group of children for the purpose of a children's party to have at least one adult per four children attending the screening. 15.3 If you decide to bring a large group for a party, we cannot facilitate a private seating area in our premises for them in our lounge area as it is kept open to the public at all times. In compliance with section 7.1, we also ask that you respect this area at all times, and keep mess and disruptive behaviour to a minimum, as it is a public area for all customers to use. We reserve the right to refuse admission to anyone not in compliance with these guidelines. 15.4 In compliance with section 5.1, we ask that no food purchased outside the cinema is consumed within the premises of Ilkley Cinema. This includes: birthday cakes, party bags, sweets, snacks and drinks. 15.5 If large groups (6 or more) are attending the cinema and are wanting to order hot food, we ask that you come to the cinema a minimum of 30 minutes before the scheduled start time and place your order at the bar. 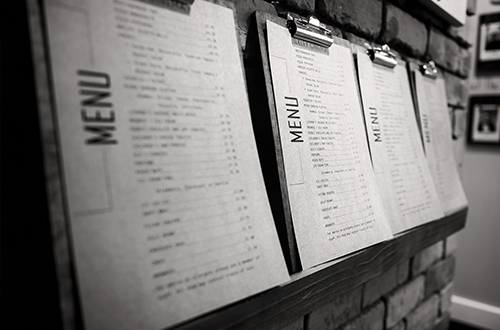 We require a minimum of 20 minutes to ensure your food is cooked and delivered to you in the screen, and we reserve the right to refuse any hot food orders that we don't deem possible to produce in this allotted time. In this instance, section 5.1.1 is revoked, and we will require your order at least 30 minutes before the advertised start time of the film. 16.1 Please note our food is produced in kitchens that handle nuts, so meals are not suitable for people with severe nut allergies. 16.2 Nuts are served from the bar along side other products that contain nuts and nut particulates may exist in the seating and general customer areas. 16.3 We cannot accept responsibility for anyone with a severe reaction to ingredients within the food or drink we supply or brought in by other customers to the Cinema and anyone with such severe allergies would be coming to the Cinema entirely at their own risk. 16.4 We do provide gluten free sandwiches and brownies for those that have gluten intolerances, please ask on arrival. 17.1 All tickets contain information of which screen your seats are in. 17.2 Screens will be either 1 or 2. 17.3 We will endeavor to highlight this for you however please still check your ticket before entering the auditorium to make sure you are in the correct screen. 17.4 You may be asked to move if you are in the wrong screen.